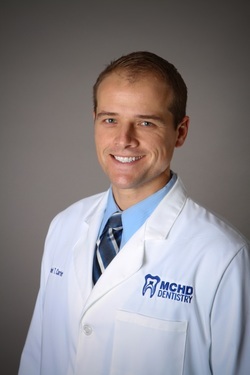 Dr. Dan Carrier joined MCHD Dentistry in August of 2010. Dr. Carrier is a 2010 graduate of the West Virginia University School of Dentistry and received a Bachelor's Degree in Chemistry in 2006 from WVU. He is a member of the American Dental Association, the West Virginia Dental Association and the Monongalia Valley Dental Society. A Morgantown native, Dr. Carrier enjoys spending time with his wife Anna and their son Daniel, woodworking and playing golf.